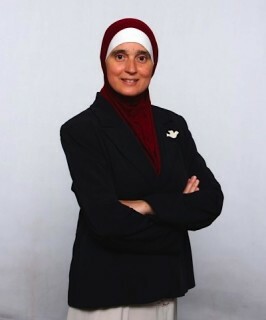 It’s a pity that Monia Mazigh did not win the riding of Ottawa-South for the NDP in the 2004 federal election. Imagine her in Parliament today, a smart, principled, fearless MP in a hajib firing questions at Stephen Harper and his cabinet. She could have made Question Period a whole lot more interesting. Well, we didn’t get Monia Mazigh the MP, but we do have Monia Mazigh the author. Her newest book, Mirrors and Mirages, has just been launched in English. 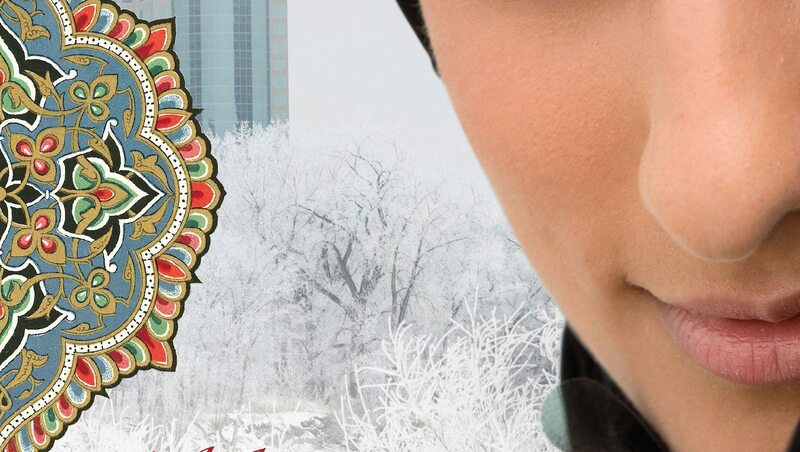 It’s a novel about a handful of Muslim families in Ottawa and how they — the mothers and daughters especially — deal with the pressures that come with being Muslim in Western society. It’s a rare opportunity to hear these issues discussed frankly, albeit in fiction, from the viewpoint of a Muslim woman herself. Mazigh first became a public figure in her role as the wife of Maher Arar, the Ottawa engineer who, despite having committed no crime, was essentially kidnapped by American authorities in the United States in 2002 and sent to Syria for a year of torture and imprisonment. Arar’s courageous spouse took on the authorities in Canada, the U.S., and Syria and eventually marshalled enough pressure to secure the release of her husband. But Mazigh is much more than a loyal wife. She has a PhD in finance from McGill University in Montreal and is the author of two books, both written originally in French and, more recently, both translated into English. The French version of Hope and Despair: My Struggle to Free My Husband Maher Arar, was a finalist for the Ottawa Book Award in 2009. Then came the novel Mirrors and Mirages, which was shortlisted for the Trillium Award as the best French-language fiction in Ontario in 2011. Now we have the English translation by Fred Reed of Mirrors and Mirages. 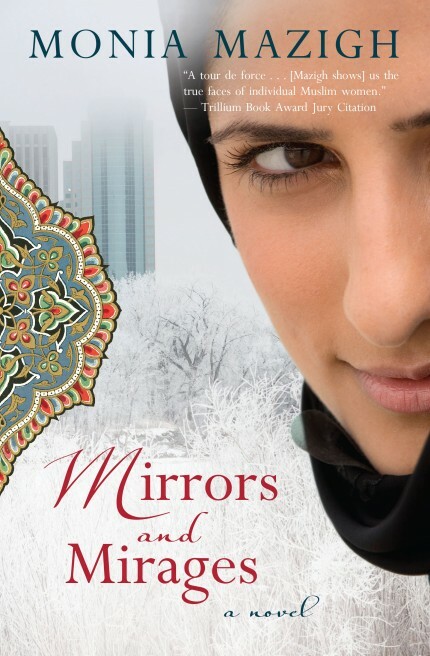 Although billed as a novel, Mirrors and Mirages is really a series of parallel stories about Muslim women in Ottawa. Some of the stories intersect and others stand alone. One story is about a family of Pakistani immigrants in Ottawa. Contrary to stereotype, the family does not pressure their teenage daughter to wear a hajib or other conservative clothing. Instead, the daughter has fallen under the influence of fundamentalist imams on the Internet and has decided to wear the niqab, the head-to-toe covering with only eyes showing. The parents are shocked. Things get really hot when the daughter’s boyfriend, a seemingly fine, upstanding young man, is arrested on terrorism charges. Another story deals with a Québécoise mother opposed to all religions whose daughter converts to Islam. Family tensions ensue. And then there is the young Muslim mother in Ottawa forced to flee an abusive marriage. 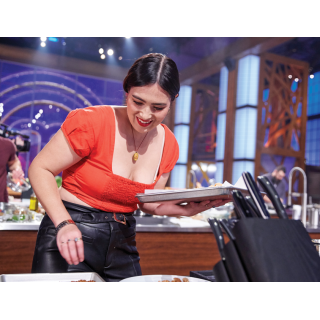 While establishing a new life for herself, she manages to land her dream job with a company in Dubai. She moves there and is a great success in the corporate world. But her happiness crumbles again when her Dubai boss wants to begin a romantic relationship. By the end of Mirrors and Mirages, each of the main characters must make an important decision. We will, one hopes, get a sequel to see the aftermath of those decisions.